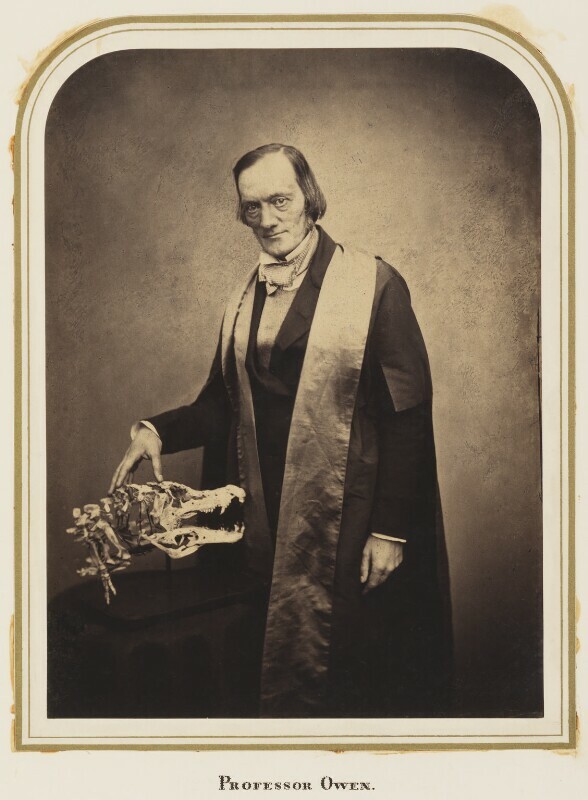 Sir Richard Owen (1804-1892), Naturalist, comparative anatomist and palaeontologist. Sitter in 34 portraits. Maull & Polyblank (active 1854-1865). Artist associated with 337 portraits. Queen Victoria introduces the Victoria cross, an award for British soldiers who displayed exceptional valour in battle. Each medal was produced from Russian guns captured in the British war. In 2006, Lance Corporal Johnson Beharry became the first living recipient of the Victoria Cross since 1965, for his actions in the Iraq war. The National Portrait Gallery is founded by Philip Henry Stanhope, 5th Earl of Stanhope, Thomas Babington Macaulay, and Thomas Carlyle, all biographers and historians. Historical rather than artistic in focus, the Gallery's aim was to collect original portraits of outstanding figures from British history, notably from politics, the arts, literature and science. Elizabeth Barrett Browning publishes her epic and autobiographical poem Aurora Leigh. The Treaty of Paris ends the Crimean war. Russia concedes to the Anglo-French-Austrian Four Points of August 1854 including the guarantee of Ottoman sovereignty and territorial integrity. Russia also agreed to a demilitarisation of the land islands in the Baltics, a term which lasted until the outbreak of the First World War. Britain launches the second Opium war against China.